Home #ADDICTIVE Eden Isle – Do you feel like escaping? Wish you could escape the daily grind? Want to take a vacation from your life but don’t have the time or money? Help is at hand! You can download Eden Isle: Resort Paradise for free today and starting building your very own tropical island paradise. 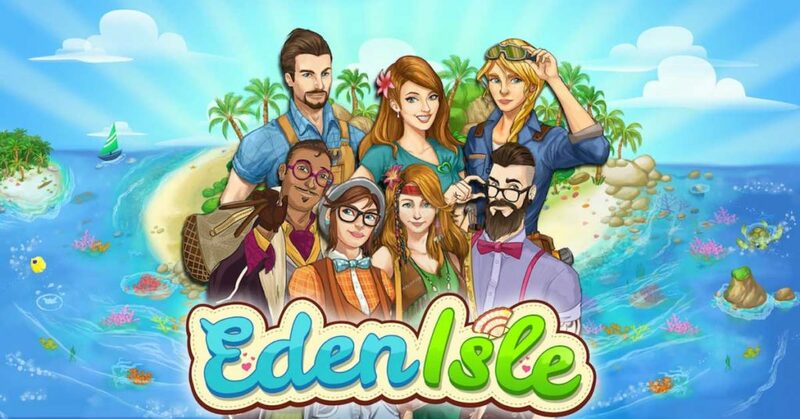 Eden Isle is a quirky game for iPhone and iPad that lets players build and manage a holiday resort. It’s like a little piece of Eden in your pocket. Work towards making a five-star vacation spot, while catering to guests ranging from out-of-touch indie rock stars, to wacky inventors, to reality show producers, each with their own backstory. 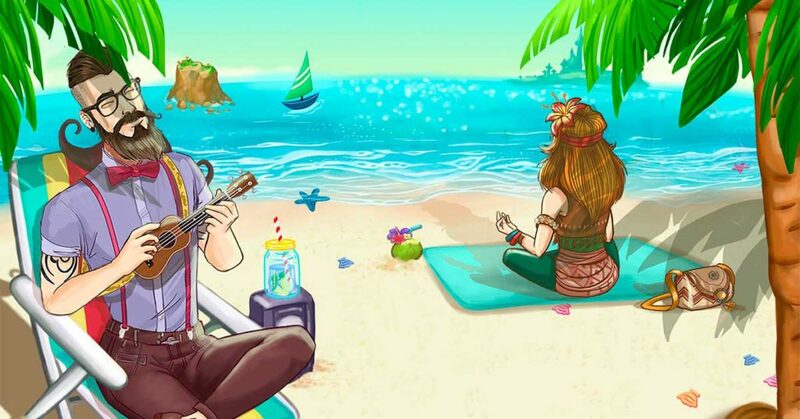 Eden Isle offers compelling resource management gameplay but also lets players get to know their guests. This is done by offering more than 250 bite-sized story quests. Unusual wedding proposals, time travel attempts, philosophical pondering, expressing an unnatural love of gnomes and getting ahead of the B.P.G. (Butterfly Protection Group) are just some of the antics your guests will get up to on Eden Isle. Start with a small patch of land on a tropical island and build some Eco-Friendly Tents and a Huggable Tree. This attracts Treehuggers, the first guest type, to the resort. As you progress you can attract more guest types – Glampers, Hipsters, Fashionistas, Selfie-Lovers, and Backpackers. Each guest type has their own requirements, preferences, and personality, showcased by vivid character animations. Glampers (fans of glamorous camping) will visit once you have an Outdoor Experience Centre, an activity that lets them experience the joys of the outdoors from the comfort of being indoors. Hipsters want a Beard Artistry Centre and an Un-Hotel (regular hotels are just too mainstream). • To create the most efficient and profitable resort, pay attention to the resort layout and how you manage your businesses. You may find that you can increase prices or lower the quality based on which guests are staying nearby. • Pay attention to where you place décor items too. 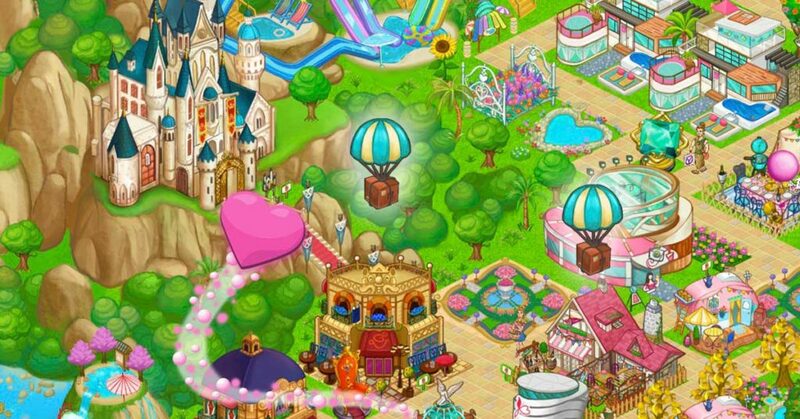 To maximize their benefit, place decor items with the highest décor bonuses near the highest earning accommodations and activities. • When it comes to producing products, use the navigation arrows to quickly cycle through all buildings of the same type and look for the Zzz animation that shows when a building is idle. • Add friends so you can visit their resorts each day to look for treasure chests and play a seashell collection mini-game. You can also compare scores in the leaderboards. AWARD-WINNING: Eden Isle is an award-winning game with glowing praise from reviewers and players. ESCAPISM: Relaxing, feel-good gameplay to help de-stress. HUMOR: Lots of humor, funny dialogue and interesting characters. GUEST NEEDS: Cater to the needs of all your different guests and keep them happy. MANAGEMENT: Maximise profits in bars, shops, and restaurants, create your favorite products and train your staff. 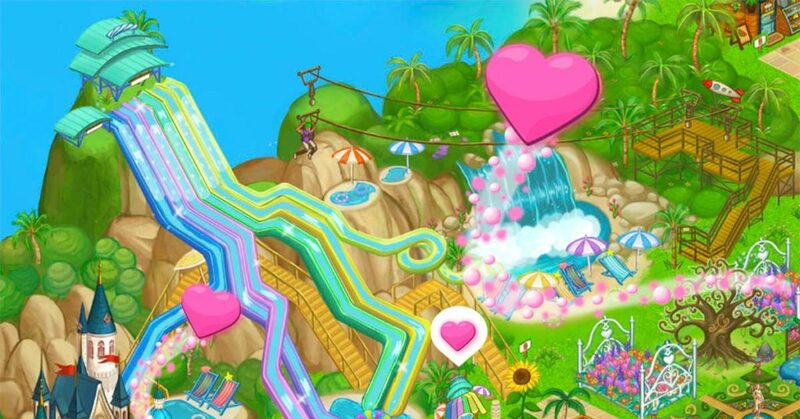 ACTIVITIES: Build amazing activities like a theme park, waterslide down the side of a mountain, a scuba diving center and swimming with dolphins. LAYOUT: Create the optimal layout to have the most efficient, successful and profitable resort. FIVE STARS: Achieve a prestigious five-star rating and see how you rank compared to players around the world. GOALS: Over 250 goals to complete and plenty to do. DECORATE: Huge range of decor items to put your own stamp on your resort. CHOICE: Choose what’s important to you and play the game as you want – whether that’s creating the most beautiful resort, earning the most money or having the happiest guests. EASY: No internet connection needed and you can play seamlessly across your iPhone and iPad. Simteractive is a mobile game development studio based in Dublin, Ireland. We specialize in building simulation games for mobile devices and we are passionate about crafting amazing gameplay experiences for our players. This article was Published by Edamame Reviews, Written by Simteractive.